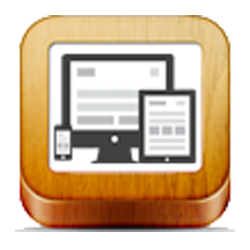 Make your Joomla site displaying and performing great on iPhone, iPad, Android, Windows Phone and mobile devices. You can build a mobile version of your site without additional domains or resources! All is managed inside your Joomla! installation. 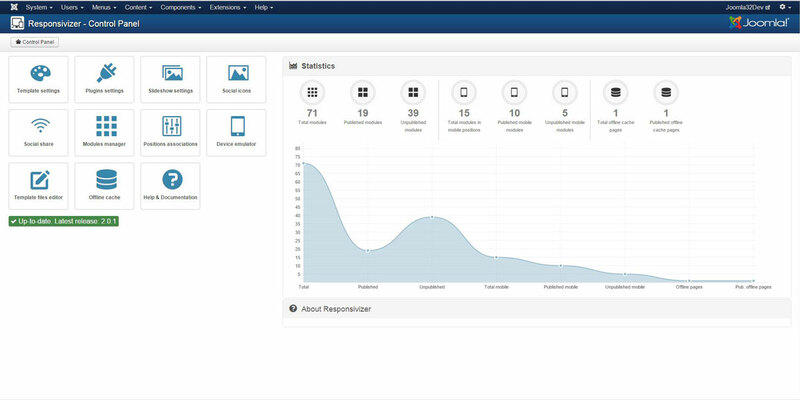 Responsivizer is also the most powerful way to speed up your site performance on mobile devices and it's trusted by thousands of Joomla! users that love it as it provides a far superior control to the standard Joomla mobile features. 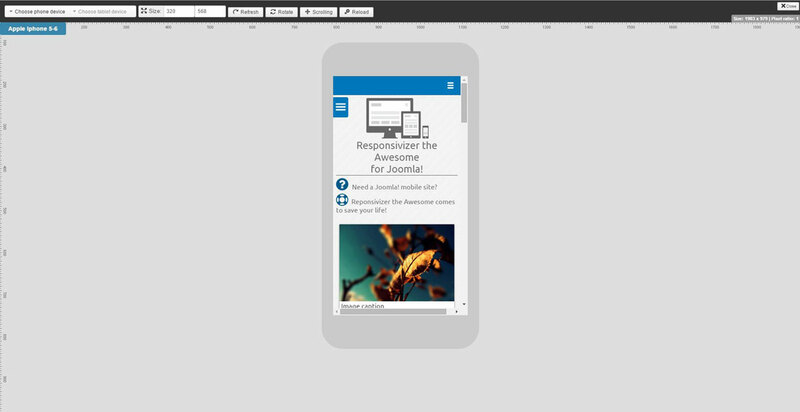 Responsivizer is capable to override your desktop template on the fly, using its own optimized template only when mobile devices are detected. Google announced that on April 21, 2015 the mobile-friendly factor will affect the ranking in search results. This means that now nobody can delay or ignore to have a mobile site, the result could be lose ranking and site visibility! Additional features - Mobile social icons and social share buttons, footer area and mobile call number, Google Analytics, logo and more, everything is already included within Responsivizer! A new release 2.4.3 is available on their site. Please update to the latest version if possible.. But the program keeps saying 2.1.1 version outdated!!! 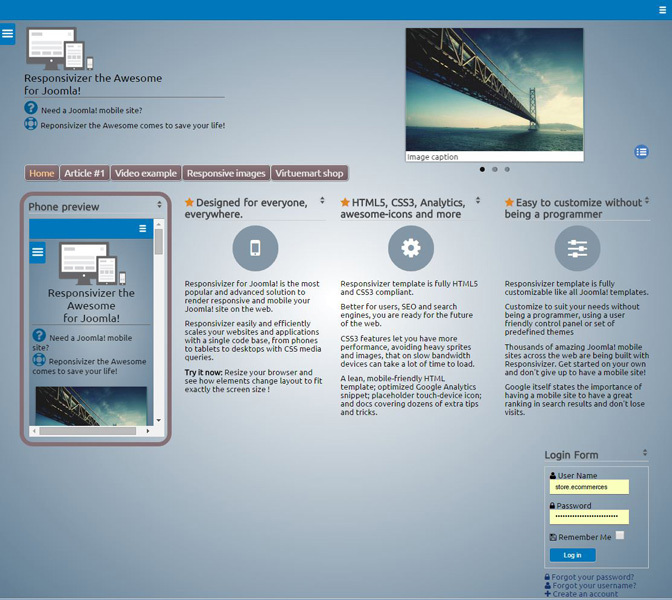 Version For joomla 2.5 is 2.1.1 . I'm writting because on admin area keeps saying that the program is outdated.